The Ekiti State Commissioner for Youth and Sports, Mr. Kayode Olaosebikan has been arrested by the Police in for beating up an NYSC member at a registration unit in Otun Ekiti, Moba LGA of the state. Olaosebikan (pictured above), who is also the Chairman, NYSC board in the state, was seen at the Criminal Investigation Department, CID, making his statement. Olaosebikan allegedly beat up a youth corps member, Mr. Thompson Enobong, NYSC number EK/13c/1859, who is one of the NYSC members assisting INEC in the just-concluded registration. 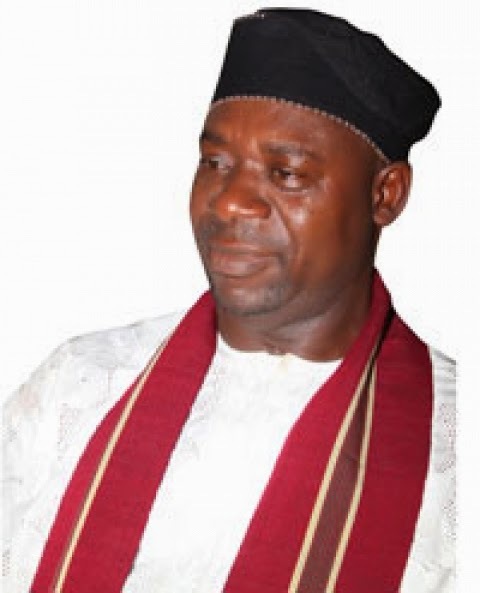 Enobong was subsequently rushed to the Federal Medical Centre, FMC, Ido Ekiti, where he is said to be receiving treatment. Olaosebikan, however, denied beating up the corps member, saying he merely protected him. Vanguard also gathered that a soldier, Private Clement John is being interrogated by the police for disrupting the exercise in Emure Ekiti. The soldier, who claimed to be serving in an Army unit in Borno State, was reportedly over powered by others at the registration unit and handed over to the police. John has equally been transferred to Ado Ekiti for further investigation. Also one Paul Ezekiel was arrested in Ikere Ward 2 for allegedly threatening officials of Independent National Electoral Commission, INEC, during the rush for registration. Spokesman of the state police command, Mr. Victor Babayemi, who confirmed the two cases, said the soldier would be handed over to the Army formation in Ondo State to ascertain whether or not he is a soldier. Meanwhile, the Director-General, Prince Adedayo Adeyeye Movement, PAAM, the political organisation of one of the Peoples Democratic Party, PDP, gubernatorial aspirants, Bisi Kolawole, has called on the relevant authorities to protect NYSC members.